Shopping for a new Buick Encore? Small crossovers are big money right now. 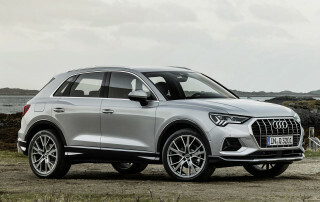 The Audi Q3 is the oldest among the luxury set, with outdated tech and lagging fuel economy. 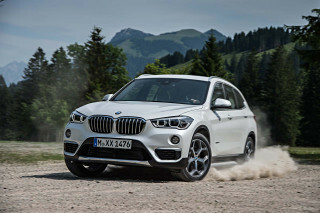 The BMW X1 is pricey and not particularly thrilling to drive, but offers a sportier X2 version if style > substance. 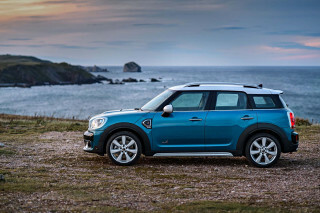 To get a fun driving X1, perhaps consider the Mini Countryman, which is mechanically related to the BMW and offers a manual transmission. The Mercedes-Benz GLA class is similarly small, with a cramped rear seat, but offers a super-powered GLA45 that's a hot hatch in a stuffed shirt. 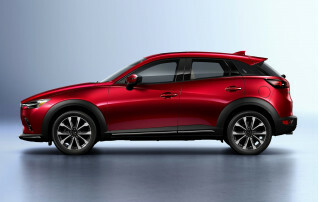 The Mazda CX-3 looks good and can be more affordable than the rest in some base trims. 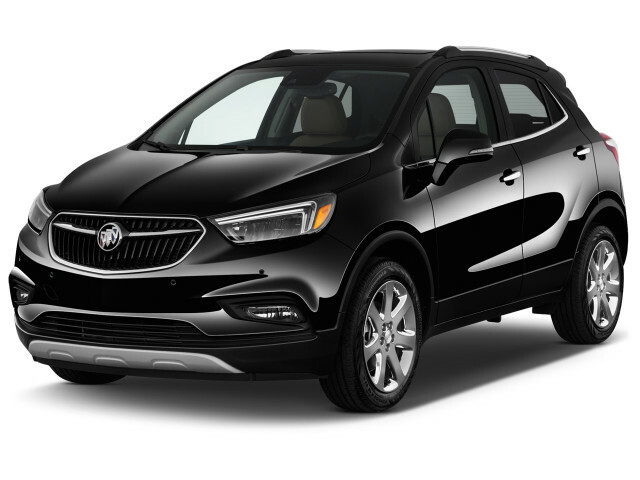 The 2019 Buick Encore carves a fair amount of crossover space from a very small footprint, but it does so at a premium. It returns nearly unchanged for the 2019 model year, with more competition than ever. Now in its sixth model year here in the United States, the Buick Encore carries over styling and features put in place after a design refresh in 2017. The 2019 Encore is offered in base, Preferred, Sport Touring, Preferred II, Essence, and Premium trims. Prices start around $23,000 in base form and top out around $32,000. On the base Encore, Buick fits satellite radio, OnStar, and power features. Spend more and the Encore gets more technology and creature comforts such as an upgraded sound system and heated leather seats. We'd spend up to the Essence trim level, which includes heated seats and rear cross-traffic alerts. Every Encore can be fitted with all-wheel drive. Buick offers two Encore engines. A 1.4-liter turbo-4 is standard while and a 1.4-liter turbo-4 with start/stop technology is available as an upgrade on most trims. All models get a 6-speed automatic transmission. Safety is an area in need of improvement for the Encore. The 2018 model scored “Good” and “Acceptable” ratings in all categories in IIHS testing, but was knocked for missing automatic emergency braking. The Buick Encore’s simple, elegant lines have aged well. The Encore shares its underpinnings with Opel and Vauxhall models across the globe, but Buick’s design cues sit front and center. Updated in 2017, the Encore’s grille and front end were toned down to align with the brand’s more modern, subdued styling of late. Though small, the Encore’s design gives a nod toward the classic elements of SUV styling, with a squared-off hood and roofline that sidesteps the wedge shape that defines many compact cars and SUVs . The Encore is narrow and tall, but not awkwardly so. Inside, the Encore offers plenty to like. A high-mounted 8-inch touchscreen is the centerpiece of the dash, situated above dual-zone climate controls, which are easily accessed but not the most straightforward to use. The 2019 Buick Encore is let down by sluggish acceleration. The Encore is available with a choice of two different turbocharged 4-cylinder engines, both 1.4-liters: a 138-hp variant is standard, while a 153-hp option is available that offers start/stop technology. Neither engine will push the pint-sized SUV to 60 mph much faster than 9.5 seconds, and in some configurations the Encore takes nearly 10 seconds to reach the mark. While slow, the Encore’s ride is smooth and composed on its 18-inch wheels. It can get busy over uneven or bumpy terrain at highway speeds, the small crossover hatchback generally handles rough road surfaces well. Buick has included some sporty styling cues like thick-rimmed steering wheel, but the Encore is much more suited as an urban cruiser than a sporty crossover. As long as space isn’t a priority, the 2019 Buick Encore delivers a refined experience and premium feel. Buick’s vehicles bring just enough luxury to the table to be a worthy upgrade over their Chevy counterparts, and the Encore earns that reputation, as long as the limitations brought on by its size are accounted for. There are no secrets about the size of the Encore, and buyers in the market for a crossover of this size are not likely looking for a vehicle that can haul seven people and all of their gear. The Encore serves its purpose well: it’s a small runabout capable enough to move a couple of people (maybe four, but only just) and a minimal amount of cargo around. Even without a central armrest, the front seats manage to be supportive and comfortable. The second row will be a challenging fit for most adults. It has limited leg and headroom, especially with the optional moonroof. Passengers will find themselves shoulder to shoulder in many cases, and all but the smallest rear-facing car seats are off-limits for the Encore. With the rear seats up, the Encore delivers 19 cubic feet of cargo space, which for comparison is less than a Toyota Prius. With the seats folded down, however, space increases to 48 cubic feet – a respectable amount. You won’t be hauling that old couch to the dump in your Encore, but the vehicle is well-suited for young families or people without children. Where it falls short in space, the Encore makes up with refinement. Buick has filled the small SUV with premium-feel materials and a variety of color options. Leather isn’t available until you upgrade to the Essence trim, but the interior is acceptable in cloth trim. The Encore’s sound deadening and acoustic glass create a cocoon-like experience that is rare in vehicles of this size, which makes the optional Bose sound system all the more enjoyable. No automatic emergency braking limits the 2018 Buick Encore's appeal. Federal and independent testers haven't yet rated the 2019 Buick Encore for safety. Even though it's new this year, this year's Encore is identical to last year's in terms of crash safety. We can confidently carry over those scores. Federal testers give the Encore a five-star overall score, including four stars for rollover crash safety. The IIHS rates the Encore's crash protection as mostly "Good" except for passenger-side small impact collisions, where it earned an "Acceptable" rating. The Encore is equipped with all of the required safety equipment such as a rearview camera and airbags. On the options list are lane-departure warnings, rear cross-traffic alerts, forward-collision warnings, and blind spot monitors. The Buick Encore can be packed with a variety of options, but for the price there’s a lot of competition. The 2019 Encore is offered in base, Preferred, Sport Touring, Preferred II, Essence, and Premium trims. Starting at around $24,000, the 2019 Encore climbs to just over $32,000 in top trim with all-wheel drive. You can have any color you want for free, as long as it’s white. Otherwise you’ll pay $400 more for the privilege of an actual color. 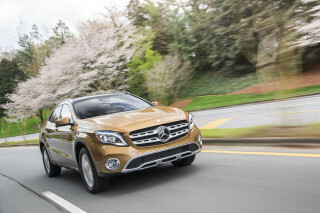 Base model Encore SUVs receive a 1.4-liter turbo-4, six-way power driver’s seat, Bluetooth connectivity, folding rear seats, OnStar with 4G LTE hotspot,, and a leather wrapped steering wheel with audio controls. The range-topping Premium trim includes all available safety options, like forward-collision warnings, active lane control, parking sensors, and blind spot monitors. Bose 7-speaker audio, dual-zone climate control, navigation, remote start, and a heated steering wheel are also standard at this trim level. Premium model Encores are also available with the optional turbo-4 featuring start/stop technology. Loaded up with all the stuff that makes it a true luxury mini-crossover, the Encore quickly creeps toward $40,000, which puts the Buick in a completely different league with heavy hitters like the Audi Q3, BMW X1, and Mercedes-Benz GLA-Class. The 2019 Encore is one of the thriftiest crossovers you can buy. With the availability of all-wheel drive and two engine choices, fuel economy can vary greatly with the 2019 Encore. Upgraded 153-hp Encores can achieve up to 27 city, 33 highway, 30 combined, while the standard model pulls a respectable 26/21/28 mpg rating. These figures were achieved in the front-wheel-drive models of the Encore. It’s important to note that, while the more powerful engine may technically consume more fuel, it has less strain overall to push the Encore down the road which helps improve the fuel economy numbers. Stop/start technology also cuts the engine at stoplights and longer pauses in driving to increase mileage.